The evolution of the TX3820 series radio, started about ten years ago with the release of its forbear the TX3600 with the TX3800 following. A lot of thought had obviously been put into the design of the series because although the hardware has remained essentially the same, its forward looking designers, future proofed to some degree the application of the radio by allowing dynamic progression of its firmware. but innovative telemetry control system, which in itself is very flexible in both telemetry or data applications. 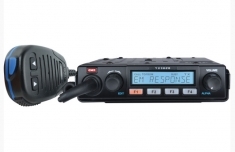 Firmware also enables a pair of radios to be used as a multi-user talk through repeater. From a dealers point of view, it opened up a raft of possibilities, which in our case led to the development of a simple early warning fire alarm system for underground mines. GME's strength I believe lies in their ability to listen to their customers, and to integrate where possible the feedback and ideas of those who use their products. A practical example is the size and shape of the package. At a time when it was becoming increasingly difficult to find somewhere suitable to mount a two way into a modern vehicle, and at a time when their competitors persisted with the DIN size format, GME produced the first series of truly compact commercial two way radios. Rugged, small and practical. True, the transmitter's duty cycle was smaller than their rivals, but for most users who just want to pass a message on, who needs big duty cycles anyway? GME have pulled out all stoppers with the new TX3820 series. 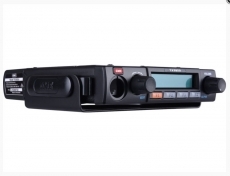 Apart from some small cosmetic changes, the radio looks and feels the same as the original but internally the radio has a new improved receiver front end, added functional ability, and a much enhanced microprocessor capacity which, knowing GME, will be the backbone of many new and exiting features. GME's TX3800 series Commercial range has continued evolve with the introduction of many new features and some tinkering with cosmetics. 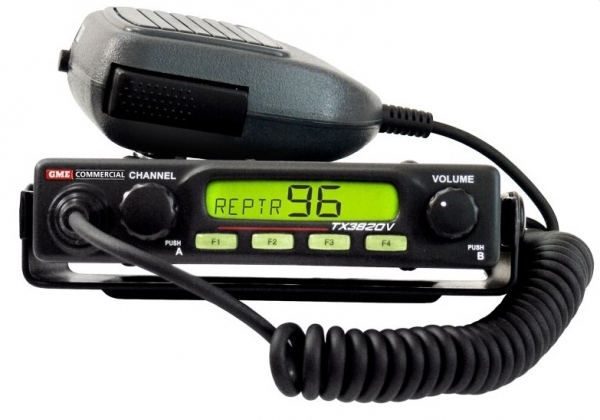 The fundamentals of the radio remain the same that is, it's ruggedness, its ingenuity and its reliability. What has changed is its capability, and a much more enhansed firmware. front panel firmware upgrade facility. The cosmetic changes although small greatly enhance the operability of the radio. The new 11 digit high contrast LCD display enables more meaningful interpretation of channel labels, identities and functions. The outstanding changes for us are the introduction of MDC1200, GPS tracking capability and in our opinion the best voting capability of any two way radio on the market today. All in all the changes give dealers a powerful hardware engine to innovate, build and design, robust communications systems full of features still using analogue technology. 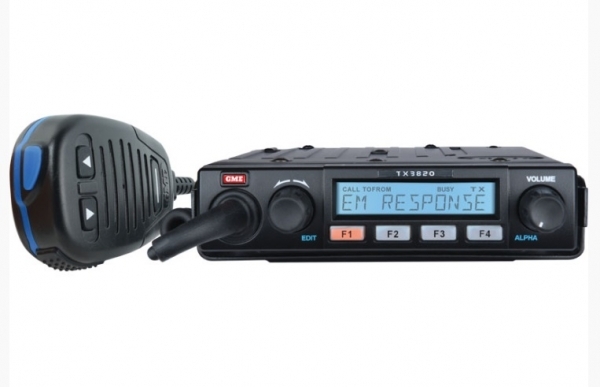 GME have really refined their products to include many of those features we as dealers crave and have managed to do it without increasing the cost of their radios.